MasteringMicrobiology is not a self-paced technology and should only be purchased when required by an instructor. Michael T. Madigan received his B.S. in Biology and Education from Wisconsin State University—Stevens Point (1971) and his M.S. (1974) and Ph.D. (1976) in Bacteriology from the University of Wisconsin—Madison. His graduate research was on the hot spring bacterium Chloroflexus in the laboratory of Thomas Brock. Following a three-year postdoctoral at Indiana University, Mike moved to Southern Illinois University—Carbondale, where he taught introductory microbiology and bacterial diversity as a professor of microbiology for 33 years. In 1988 Mike was selected as the Outstanding Teacher in the College of Science and in 1993, the Outstanding Researcher. In 2001 he received the SIUC Outstanding Scholar Award. In 2003 he received the Carski Award for Distinguished Undergraduate Teaching from the American Society for Microbiology, and he is an elected Fellow of the American Academy of Microbiology. Mike’s research is focused on bacteria that inhabit extreme environments, and for the past 15 years he has studied Antarctic microbiology. 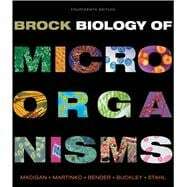 In addition to research papers, he has edited a major treatise on phototrophic bacteria and served for 10 years as chief editor of the journal Archives of Microbiology. He currently serves on the editorial board of the journals Environmental Microbiology and Antonie van Leeuwenhoek. Mike’s nonscientific interests include forestry, reading, and caring for his dogs and horses. He lives on a quiet lake with his wife, Nancy, four shelter dogs (Gaino, Pepto, Peanut, and Merry), and three horses (Eddie, Gwen, and Festus). Kelly S. Bender received her B.S. in Biology from Southeast Missouri State University (1999) and her Ph.D. (2003) in Molecular Biology, Microbiology, and Biochemistry from Southern Illinois University—Carbondale. Her dissertation work focused on the genetics of perchlorate-reducing bacteria. During her post-doctoral fellowship, Kelly worked on the genetic regulation of sulfate-reducing bacteria in the laboratory of Judy Wall at the University of Missouri—Columbia. She also completed a transatlantic biotechnology fellowship at Uppsala University in Sweden researching regulatory small RNAs in bacteria. In 2006, Kelly returned to her alma mater, Southern Illinois University—Carbondale, as an Assistant Professor in the Department of Microbiology and was tenured and promoted to Associate Professor in 2012. Her lab studies a range of topics including the regulation of stress responses by small RNAs, microbial community dynamics of sites impacted by acid mine drainage, and the bioremediation of uranium by metal- and sulfate-reducing bacteria. Kelly teaches courses in microbial genetics and molecular biology, has served on numerous federal grant review panels, and is an active member of the American Society for Microbiology. Her other interests include biking, cooking, and spending time with family, friends, and her miniature schnauzer, Pepper. of nitrogen and sulfur and the microbial communities that sustain the associated nutrient cycles. His laboratory was first to culture ammonia-oxidizing Archaea, a group believed to be the key mediators of this process in the nitrogen cycle. Dave has taught several courses in environmental microbiology, was one of the co-founding editors of the journal Environmental Microbiology, and has served on many advisory committees. Outside the lab, Dave enjoys hiking, bicycling, spending time with family, reading a good science fiction book, and¿with his wife Lin¿renovating an old farmhouse on Bainbridge Island.